Dr. Elliott appears on dozens of recordings and videos with the Mormon Tabernacle Choir. 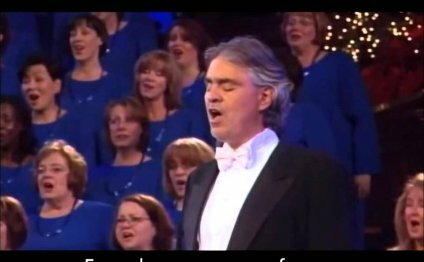 In his work with the choir he has collaborated with many guest artists including Andrea Bocelli, the Canadian Brass, Renée Fleming, Evelyn Glennie, the King’s Singers, Brian Stokes Mitchell, the Oak Ridge Boys, Charles Osgood, the Osmonds, and Robert Shaw. In 1994 he recorded his first solo compact disc, titled “In the Shadows of the Everlasting Hills, ” on the Pro Organo label. His second solo CD on the Mormon Tabernacle organ, “Every Time I Feel the Spirit, ” was released in the summer of 2009 on the Klavier label. He has also recorded three compact discs in collaboration with his colleagues on the Tabernacle organ staff. Dr. Elliott is a published composer and arranger of music for organ and for choir. Prior to his appointment as a Tabernacle organist in 1991, Dr. Elliott was an assistant professor of organ at Brigham Young University. He has performed extensively as a recitalist in the United States, has appeared as soloist with the Utah Symphony, and for several years was assistant organist at the John Wanamaker Department Store (now Macy’s) in Philadelphia, home to the world’s largest functioning pipe organ. A Fellow of the American Guild of Organists, Dr. Elliott has been a featured performer at several national and regional conventions of the guild. A native of Baltimore, Maryland, Dr. Elliott received his early musical training at the Peabody Conservatory. He went on to study organ at the Catholic University of America, the Curtis Institute of Music, from which he received the BMus degree, and the Eastman School of Music, where he received MM and DMA degrees. His organ teachers have included David Craighead, Dale Krider, William Watkins, and John Weaver. Dr. Elliott is married to a professional pianist, Elizabeth Cox Ballantyne, and they are the parents of two sons.